"Colorado is one of the world’s premier bouldering destinations, and Boulder resident Bob Horan has been climbing them all for 35 years. Horan has established hundreds of new routes and boulder challenges, pushing standards such as the first free ascent of the Rainbow Wall, which is Eldorado Canyon’s first 5.13, as well as Beware the Future (5.14) in the Flatirons. This original book contains nearly 4,000 individual routes covering the entire state, with some listings found nowhere else. Geared to all skill levels, the book is enhanced by roughly 900 detailed maps and full-color color photos accompanying Horan’s comments. " Given the tone of the paragraph, Falcon seems pretty out of the loop. 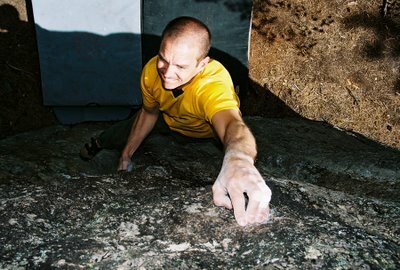 Nothing like those "boulder challenges" to conquer a sheer rock face or two. Anyway, it is a terrible idea to publish Evans which has become a total zoo, especially Area A. Rock and Ice started the ball rolling with a big article a couple of years ago and relentless publicity for problems such as Ode to the Modern Man, Clear Blue Sky, and No More Greener Grass has only upped the crowds. Proximity to Denver, lower elevation, no entrance fees and a less barren environment has made Area A more and more like the Happy Boulders of Colorado. The fact that it's a wilderness area is lost on the masses of visitors. I am hoping that the aura wears off eventually and given the number of quick repeats/flashes of big number ticks, maybe this is already in motion. But until then, despite my ambivalence towards hoarding "secret" areas, Evans should not be published. Email your comments to guides@falcon.com. 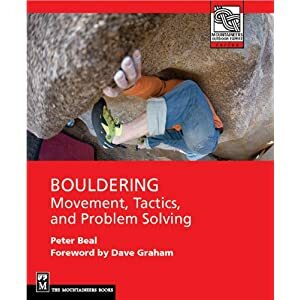 A serious issue has been raised regarding a planned bouldering guidebook to Colorado and that has to do with the publication of "Area A" at Mt. Evans. This is in a wilderness area and is already in jeopardy of having access restricted or eliminated. I would suggest that the author be prevented from including Mt. Evans and that Falcon Books seriously consider the impact its book will have on a very fragile access situation. I would also highly recommend that the book be vetted by currently active participants in the Front Range/Colorado climbing scene. If you need some names I would be happy to forward them. Please take this issue seriously. Two other major publishers in the region have passed on publishing Evans." I was surprised to see in the same message board that a prominent Boulder climber has apparently installed a crash pad at Evans. This is a major dab. During my early morning forays to RMNP, I keep my eye out for any stray pads and am happy to carry them out. I look forward to letting readers of this blog know whose gear I find up there. If the owner doesn't identify him/herself on the pad, I'd be happy to add them to my quiver. I'm already hauling 3+ up and down and one more won't make much difference. I'm going to call for a full on boycott. I think we could unite and pull it off maybe? especially when these guys stand to make a profit!! Putting Evans at this point in time in a guidebook is shortsighted. Thanks for starting the letter writing Peter. I will follow suit shortly.